The recipe I used calls for baking soda water. 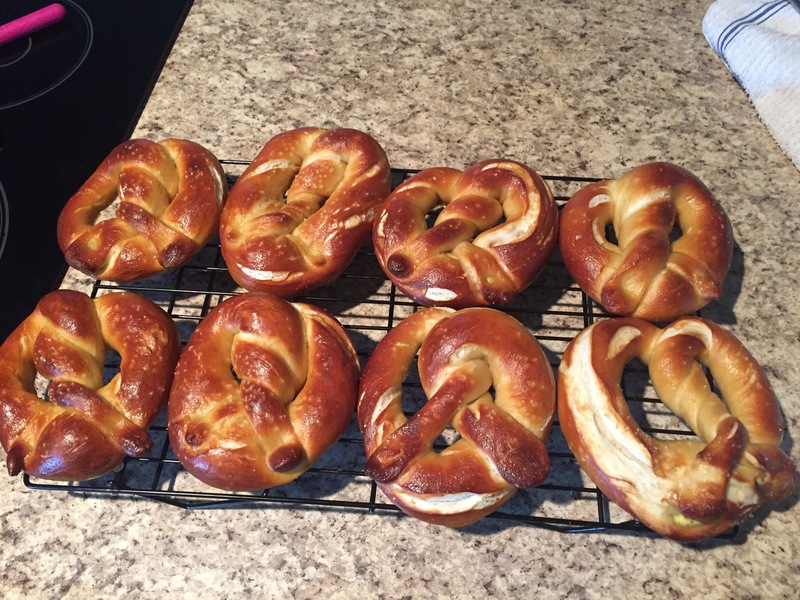 These turned out pretty well, but I hear a lye dip will give better crust and color. I’d substitute whites for yolk next time. 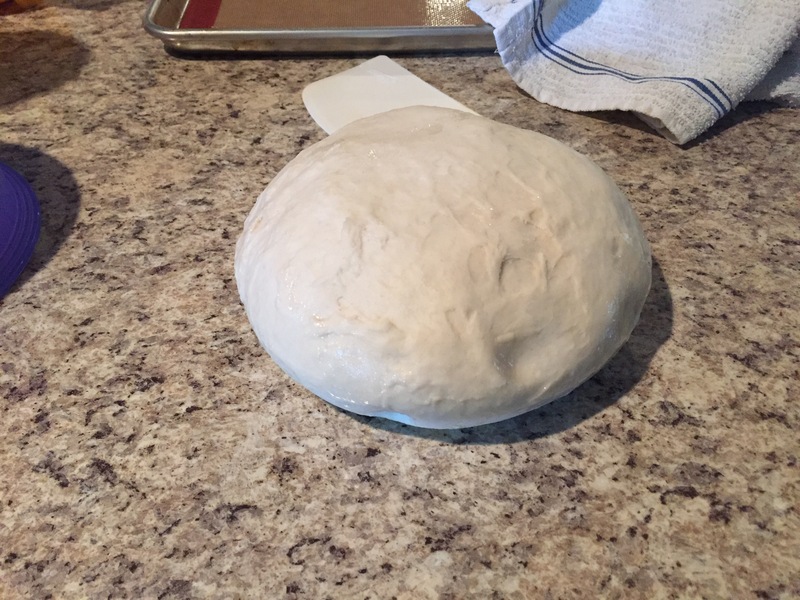 Puffy dough after an hour rise. Shaped. 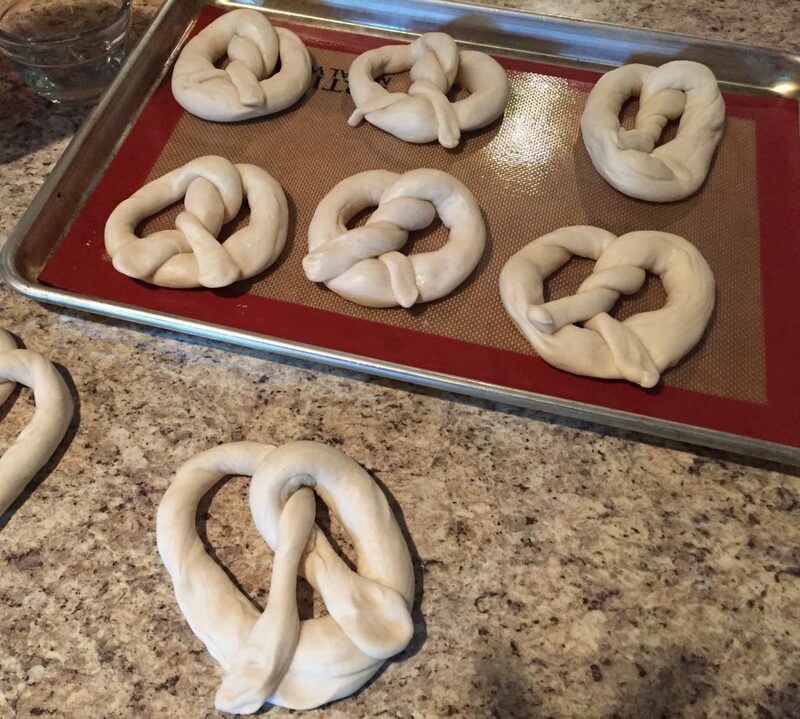 I’m not the best pretzel shaper, but these look ok. Hot out of the oven. Looking good. Looks like the single and double twists look the best. Got one good triple twist. They need mustard!